The original symmetrical flute design features and engineered flute form that provides high-performance results through a full range of machining conditions. These tools are designed for aggressive aluminum, non-ferrous, and non-metallic machining requiring a high level of material removal. 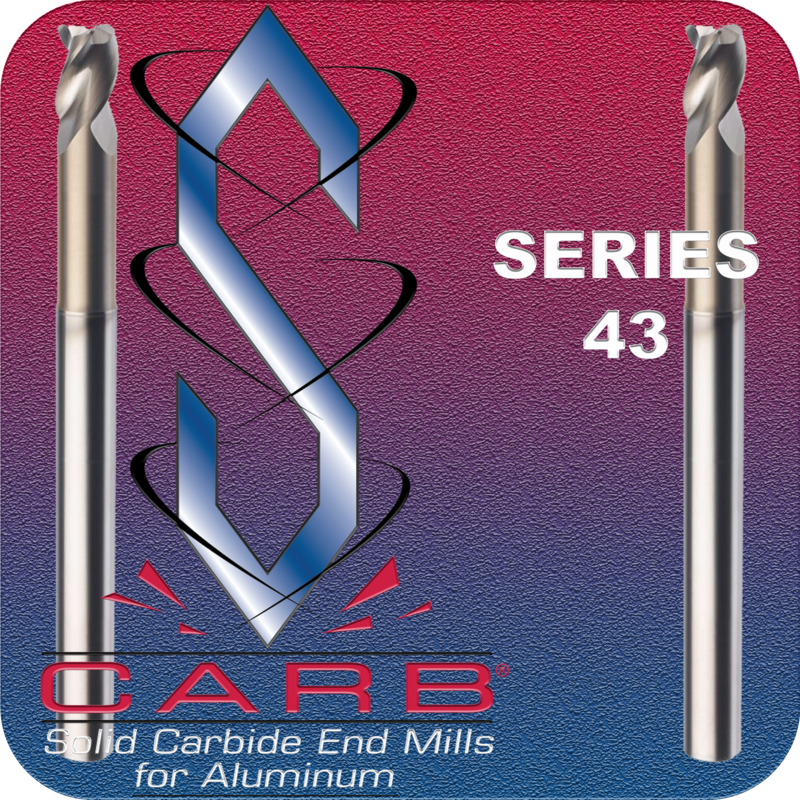 The S-Carb family encompasses the 2-Flute Series 47, 3-Flute Series 43, 3-Flute Advanced Productivity Rougher (APR) and 4-Flute Finisher (APF). Available with Ti-NAMITE-B ceramic-based coating with industry leading built up edge protection.